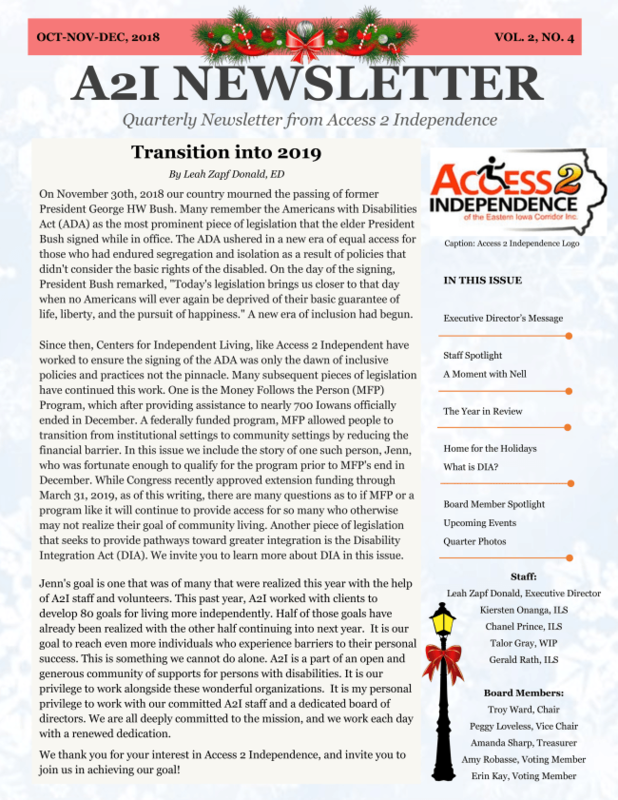 Access 2 Independence is pleased to present to you our latest quarterly newsletter! Unfortunately, this newsletter was delayed due to technical difficulties. We are sorry for this delay, but hope that you enjoy this new release. This issue covers October, November, and December of 2018 and includes a letter from the Executive Director, information on recent and upcoming events, spotlight articles on our newest staff member, and more! Please click here or on the image to the left to access a PDF version of the newsletter.